If you’ve been around a homeschooler for more than an hour, I’m going to assume you know about the company – Institute for Excellence in Writing. If you’ve read many of my posts, you’ll know that we love many of their products. I encourage you to visit their site to see if their products will fit a resource need to help you with your goals for your child. I’m going to assume that they will! Today’s review chat will be about two of their products, Teaching Writing with Structure and Style Set (TWSS) and Student Writing Intensive Level B Set (SWI) that combine for the sole purpose to teach your children to write. In a world of copy and paste – how do you teach your child to tell or write things in their own words? Every device is a click away from google searches and now Pinterest – information is quick at hand. When we need to know something, or explain something – it is so easy to pull out the iPod and read the words of someone else explaining it. As a Charlotte Mason, Relaxed Learner, how do we lead our children into the next level past simple narrations? After the younger years of copy work, and older years of narrations – how do we help our children to look at a block of text, see the facts, and then write the idea out – in their own words? Let me try to explain, we’ll start with the teacher. I can’t even tell you how many writing programs we have reviewed, and tried on our own up to this point. The main ingredient lacking in all of them? Teaching the Teacher. Does this sound familiar? The curriculum, created for a young student, arrives in the mail and you are overjoyed! Then you try to sit down to ‘lesson plan’ for next Monday and realize that you are so overwhelmed! So much information! Day by day, student and teacher attempt the lessons together, and finally by the 2nd or 3rd week – you get the hang of the program, and you can start to ‘do the next page’. Yet, you’re unsure that you are ‘doing it right’, and lack the confidence that comes from knowing where the child will end up with at the end of the year. Andrew Pudewa’s passion is to Teach the Teacher. The first and key ingredient is the Teaching Writing with Structure and Style Set (TWSS) and Student . He calls it the core of his company. In 6 disks of 10 hours of seminar instruction, he leads the parent/instructor through the course with notes, handouts, and activities for us to complete while watching. His advice is to pick this up in the spring, use it throughout the summer, and be ready to teach the course in the Fall. With our review period of just a few weeks, I read the notes/handouts/etc quite quickly and watched the DVD’s in a matter of 2-3 days. That’s a lot of information! For me, entering 10th and 7th with two boys, much of the information is what I have learned by trial and error throughout the years and gleaned from many fine companies. This seminar would have been an anchor for me in the younger years. Other writing curriculums would have made sense, and I would have used these tools throughout our Notebooking, Reports and Written Narrations. *Edit* – I had to go back and add a paragraph here – I can’t stress enough how amazing this Teacher’s course is. I held off using IEW for writing because I had only heard how intensive the program is. No one ever told me how amazing the teaching tools are. I feel like there might be a mom out there, who is intimidated by IEW, based on the ‘friends’ that use this product. 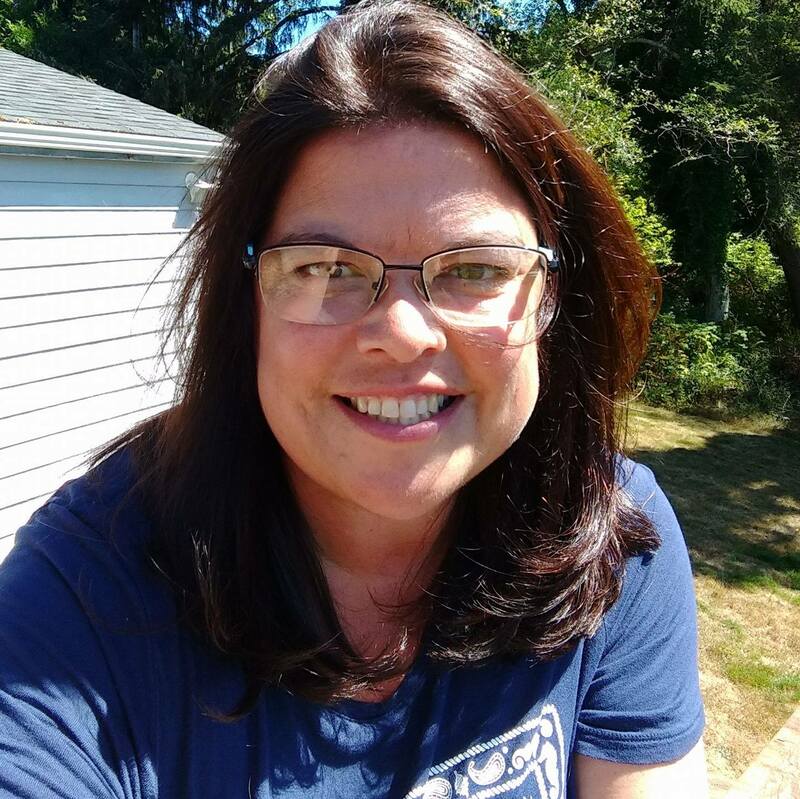 If you are that person, wondering how you would ever be able to pull this together – please – this is me, Angie, sitting with tea with you – saying – invest, beg borrow and maybe even steal (but then return it of course) this Teacher’s Course. If you are within driving distance to me, I’d encourage you to buy the consumable part of the package to use while you borrow the DVD’s. Oh for the confidence of knowing you can be equipped to teach writing to your students. It. Is. Worth. It. That is all. You may continue now. The second part of this curriculum is the Student Writing Intensive. There are three levels – you can jump in at any time, we started with Level B for Jon. 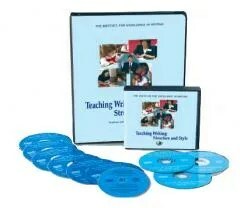 (IEW suggests you only do one level, and then move on to their other writing programs) The SWI also comes with a few DVD’s to help you jumpstart the learning. While I was learning with my DVD’s Jon could attend a class with Andrew Pudewa on the DVD and have all of the handouts he needed in his notebook. This created confidence for me, trust with Jon, and a great learning path for how to work on the assignments. The lessons are listed with the exact times on the DVD and explain what you will cover. All of the handouts for the class are included in the notebooks. There is nothing to print. The teacher can follow along with the notes as well. 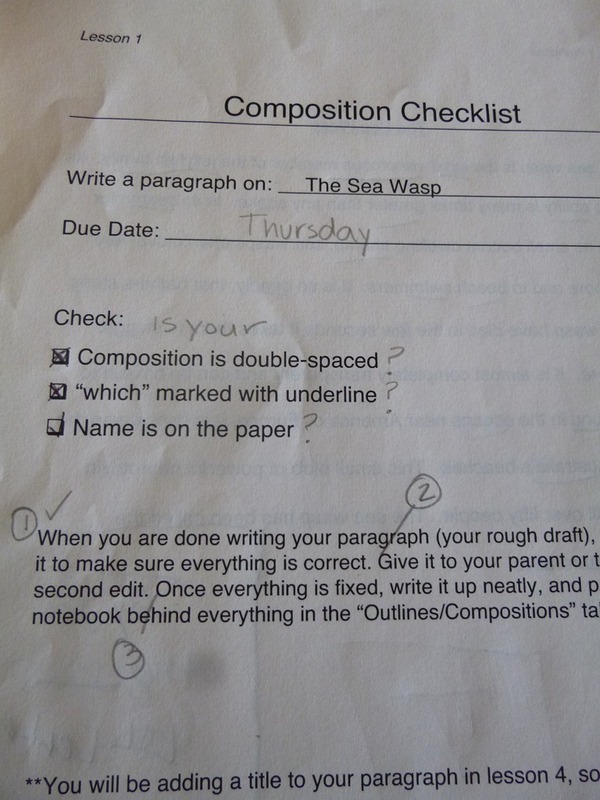 After the DVD class, a writing assignment is given with a checklist for the student to check their own work. Bonus. 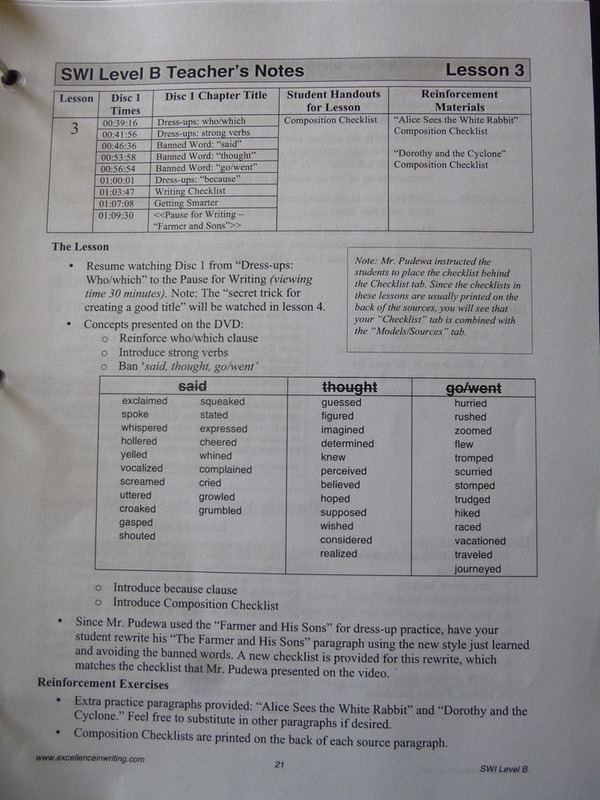 Other assignments are given to help reinforce the DVD lesson. One thing that caught my attention during the Teacher’s Training is that Mr. Pudewa wants you to know how to use Structure and Style in the every day. Although there are plenty of assignments in each unit to help your child practice what he is learning, the goal is to practice the skills throughout the day in their other lessons. We used the Note making and Outlines, Writing from Notes several times this month. Not only did it make Jon a better writer, but it helped to break down a subject that he didn’t quite understand. Once he put it in his own words, and read the paragraph to dad, he completely had a grasp on the topic. We have used this for Science, Literature and History this month. TWSS encourages you to look for small paragraphs in your studies to practice on. 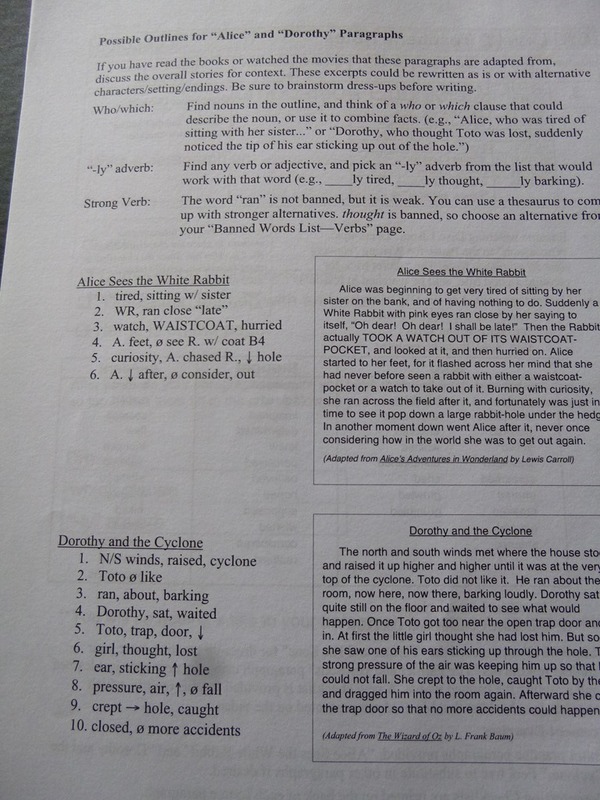 However, if you do not have time, or the ability to figure that out – there are plenty of practice paragraphs in the student workbook. 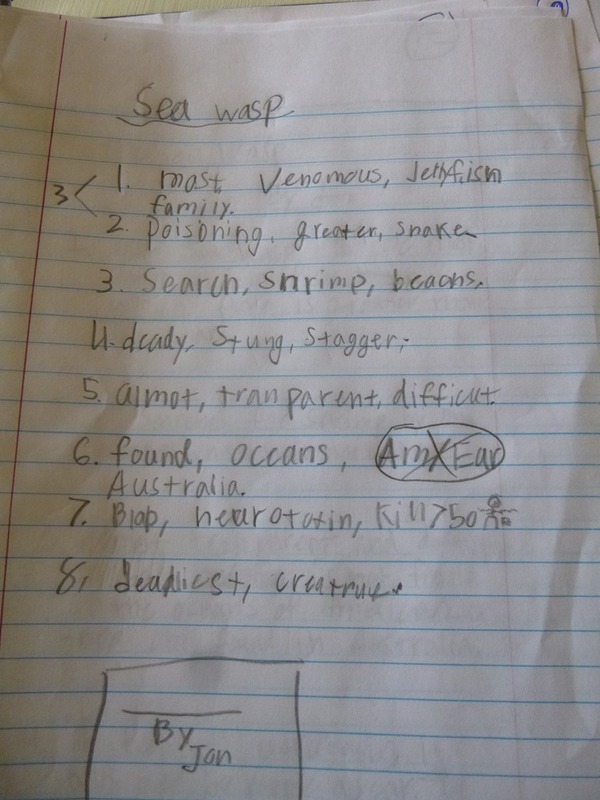 One of the first assignments on the DVD an in their student notebook is on The Sea Wasp. 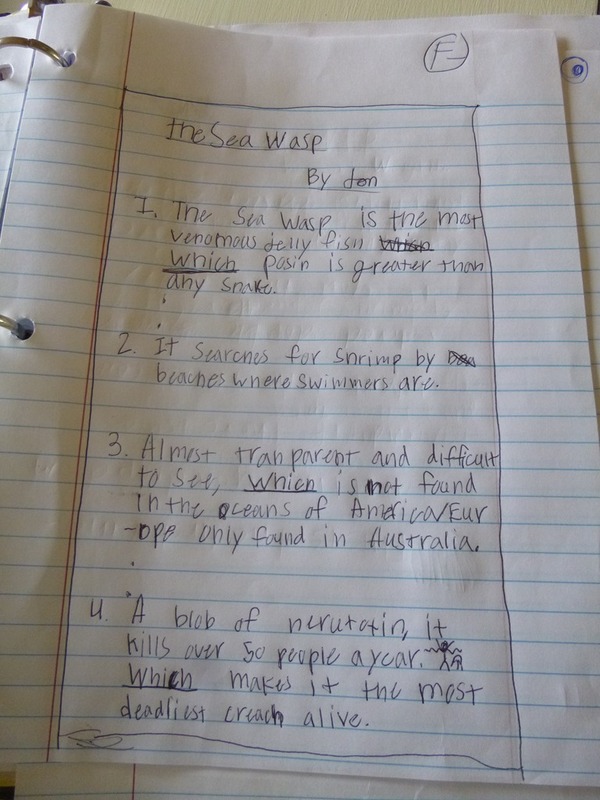 It is a science topic – interesting, with great vocabulary words. 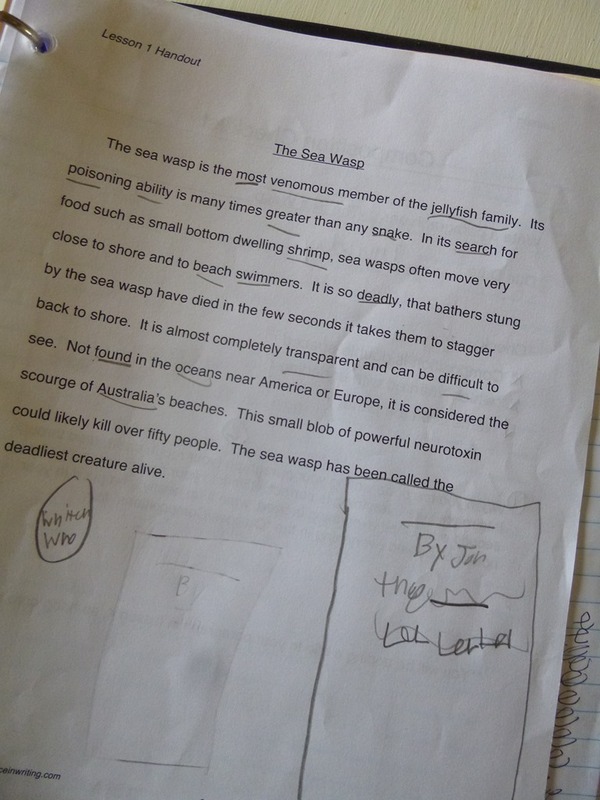 It was a GREAT first topic for my surfing son. He was able to follow along with the class to pull out a few key words for each sentence, then put the original work out of sight, then create several sentences from his notes. The resulting paragraph was in his own words. He did several drafts of the work, combining sentences with Which/Who connections, and in later lessons adding dress ups one at a time to make his sentences more interesting. When dad came home from work the first week and listened to Jon’s report on the Sea Wasp – he as quite impressed with the results of the curriculum for sure! We are still on Unit 2. We will practice these skills throughout the summer, and then pick up the videos again in the fall, now that we are done with the review. We will continue to learn techniques of Structure and Style from the curriculum and apply them to our notebooking for science, history and literature. Especially for this review product, I can not express my gratitude for the Schoolhouse Review Crew or to the Institute for Excellence in Writing enough. All of the struggle that we have gone through with my now 10th grade son will not need to be played out with my 12 year old son. I feel confidently equipped as a teacher, to train students in writing, thanks to this product. 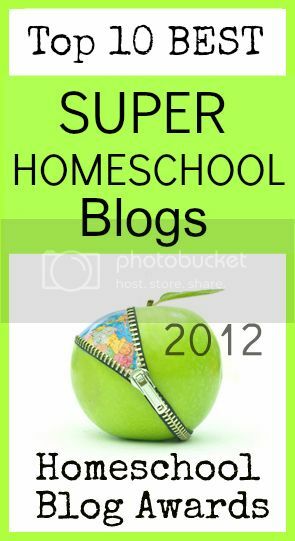 This entry was posted in Reviews, Schoolhouse Crew, Writing and tagged Boys, HomeSchool, hsreviews, IEW, Middle School, Teacher, training, Writing. Bookmark the permalink. We are using an IEW writing program this year! Glad to hear that you like it. I enjoy reading your reviews.